Brazilian Jiu-Jitsu or Gracie Jiu-Jitsu is a martial art and combat sport and a form of self-defense that focuses on grappling and ground fighting.  It was derived from the Japanese martial art of Kodokan Judo in the early 20th century, which was itself then a recently-developed system (founded in 1882), based on multiple schools (or Ryu) of Japanese jujutsu. It promotes the principle that a smaller, weaker person can successfully defend them self against a bigger, stronger assailant using leverage and proper technique; most notably, by applying joint-locks and chokeholds to defeat them. BJJ can be trained for sport grappling tournaments (Gi and No-Gi) and Mixed Martial Arts (MMA) competition or self-defense. Sparring (commonly referred to as 'rolling') and live drilling play a major role in training, and a premium is placed on performance, especially in competition. Carlos Gracie (September 14, 1902-October 7, 1994) was the first Gracie to learn Judo from Otávio Mitsuyo Maeda. 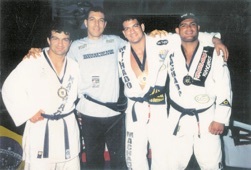 Based on this judo training, Carlos and his brothers founded the martial art of Brazilian Jiu-Jitsu. 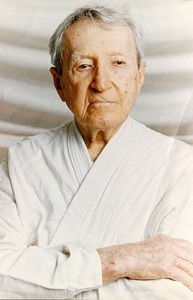 Carlos Gracie died in 1994 at the age of 92. He was a member of the legendary Gracie family and was Hélio Gracie's oldest brother. He was taught judo by Otávio Mitsuyo Maeda, a Japanese emigrant to Brazil who was then a 4th dan Kodokan judoka. Carlos then passed the teachings on to his brothers Oswaldo, Gastão Jr., Jorge, and Hélio. In 1925, the brothers opened their first academy in Brazil, marking the beginning of the art of Brazilian Jiu-Jitsu. Carlos "Carlinhos" Gracie, Jr. (born January 17, 1956) is a 7th degree Black/Red Belt (The belt designated to a "Master" or "Mestre") in Brazilian Jiu-Jitsu (BJJ) under his late father Carlos Gracie. He started the Gracie Barra Academy in Rio de Janeiro, Brazil and is head of the Gracie Barra, one of the largest and most successful worldwide Jiu-Jitsu associations. He's a member of the legendary Gracie family. Carlos is the creator of the International Federation of Brazilian Jiu-Jitsu and Confederação Brasileira de Jiu-jitsu which run the largest Jiu-Jitsu tournaments in the world: the Mundials, Pan American and European Championships. Renato Magno (born June 21, 1966) is a 4th degree Black Belt. He started the “Street Sports Acedemy” in 1998. Over the years, he has accumulated several awards both in Brazil and in the United States. Renato's fine character combined with his extraordinary skills made him one of the best Judo & Jiu-Jitsu fighters and one of the world's greatest martial arts experts. Come to make part of the Jiu-jitsu History !! !